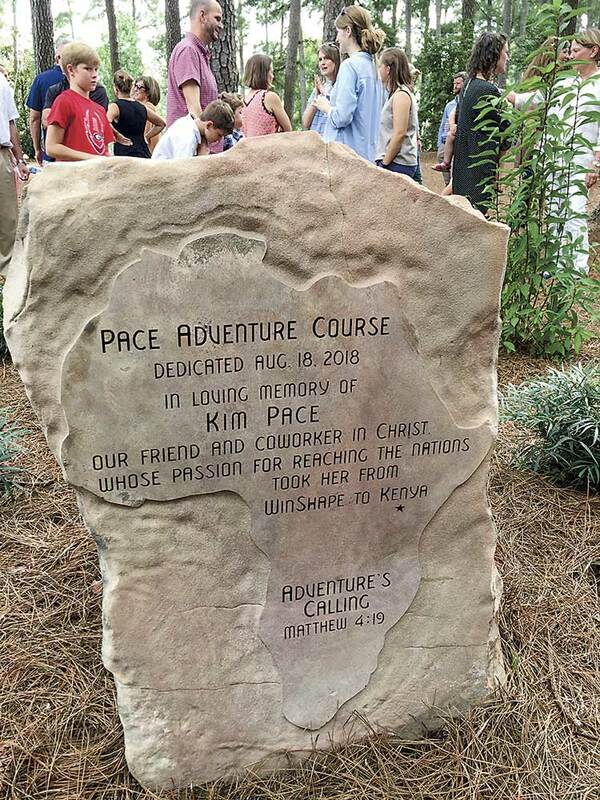 A large group from across the nation arrived at Berry College in Rome on Aug. 18 for the dedication of the Pace Adventure Course, named for former Peachtree City resident Kim Pace, who began a ministry in Kenya 17 years ago and passed away there in January after a paragliding accident. Photo/Submitted. It was in January that former Peachtree City resident and BlueSky Ministeries founder Kim Pace lost her life in a paragliding accident in Kenya. And seven months later on Aug. 18, the Pace Adventure Course at WinShape Teams at Berry College in Rome was dedicated to the woman whose life was claimed in the African country she loved. Above, a large group from across the nation arrived at Berry College in Rome on Aug. 18 for the dedication of the Pace Adventure Course, named for former Peachtree City resident Kim Pace, who began a ministry in Kenya 17 years ago and passed away there in January after a paragliding accident. Photo/Submitted. WinShape Teams Senior Program Specialist Ricky Escobar said Kim Pace was part of the WinShape family, having been heavily involved with the foundation’s ministries, both WinShape Camps and WinShape Teams (formerly WinShape Wilderness) from 1997-2001. 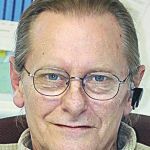 It was while attending Berry College in Rome that Kim became involved with the WinShape Foundation, a nonprofit founded by Truett and Jeannette Cathy. In January 2018, Kim was paragliding in Africa’s Great Rift Valley, doing what she loved, adventuring, in a place she loved, Kenya, when the craft lost altitude and crashed, killing her and the pilot. WinShape Teams and BlueSky continue to have a deep partnership to this day,” Escobar said. WinShape Teams also presented the Pace family with a $10,000 gift to go to BlueSky Ministeries to continue the work Kim began. 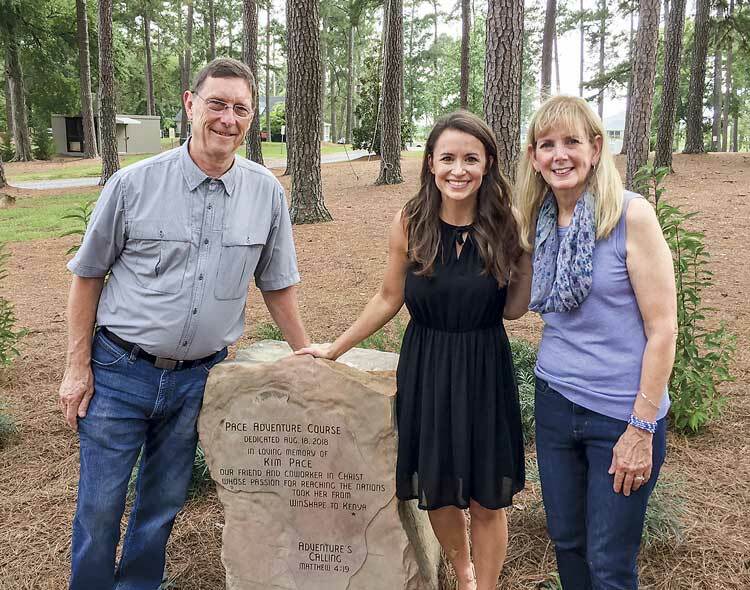 Jim and Mary Pace, along with Rachel Cathy (C) were at Berry College in Rome on Aug. 18 for the unveiling of the Pace Adventure Course, named for their daughter, Kim, who worked with WinShape Teams on the Berry campus. Photo/Submitted. Back home in Peachtree City after the ceremony, Kim’s mom, Mary, said her daughter worked with WinShape while a student at Berry College from 1996-2000. Mary and Jim said it was gratifying to see Kim’s eight friends at the event with their families. Those in attendance heard the stories the women told, of Kim and how she inspired their lives. Jim explained that Kim was a product of Fayette County. Cathy noted a past occasion when Jim Pace asked Kim when she was coming home. “She said, ‘Dad I am home,’” Cathy said. Kim Pace grew up in Peachtree City, attending Peachtree City Elementary School, Booth Middle School and graduating from McIntosh High School in 1996. She then attended Berry College in Rome, graduating in 2000. It was during the morning of Jan. 23 that 39-year-old Kim was riding in tandem with expert paraglider pilot Tomas Lednik in Kenya, according to xcmag.com. It was during the flight in the Kerio Valley that the two struck the ridge and perished. The Kerio Valley sits beneath the Elgeyo Escarpment and forms part of the western wall of Africa’s Great Rift Valley. The memorial stone itself. Photo/Submitted.